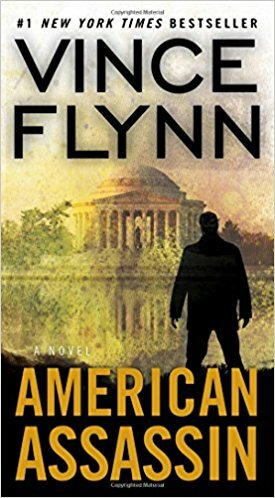 American Assassin: An exciting read from start to finish! Mitch Rapp is a trained assassin on a mission. His mission is to rid the world of terrorism one terrorist at a time. Since reading this book, I have learned that the Mitch Rapp series first appeared on bookshelves in 1999 with the release of Transfer of Power and that this book along with Kill Shot are prequels to the earlier books. I really enjoyed this book as an action-packed adventure tale. While certainly not a literary masterpiece, it moves well and keeps the reader interested. There are also some good examples of spy trade-craft as well. The story moves like a roller coaster ride, If you are an action junkie, this book will keep your interest. You will not want to put the book down but only to turn to the next page to see what happens next. Past administrations have gone soft on terrorism and their policies have allowed terrorists to really take hold, establish fund raising activities, and indiscriminately attack innocent victims around the world. The new CIA director has had enough, and realizes that they only way to beat terrorism is to eliminate the terrorists and the criminal activities that support them. The CIA director creates a organization whose job is to recruit and train assassins to work off the grid. This gives the U.S. government “plausible deniability.” Mitch Rapp is one of these assassins. A young man, he was a successful college student and a nationally recognized athlete with a girlfriend who is the love of his life. When she is killed by terrorists who blew up Pan AM Flight 103 over Lockerbie, his life ended. He was a man lost. Then something changed. He found a new purpose in life. That was to kill the terrorists responsible for this evil attack. This book is not a “great work” in the classic sense. But, readers who enjoy counter-terrorism yarns will certainly enjoy it. I do plan to read the other books in this series as time allows. For my recommendation, I give it four out of five stars. It is not be suitable for young readers due to the violent content. Also, if you have read this book and did enjoy it, you should give Serpents Underfoot a shot. I bet you will enjoy it too! Yes. I certainly enjoyed it, but then, this genre is a favorite of mine. I am an author, blogger and an un-apologetically patriotic American. I enjoy martial arts, shooting sports and writing. I currently live in Asheville, NC with my German Shepherd named Sophie.